Like an old-time movie serial, my last post (see "A familiar tune" on Dec. 23, 2009) left the 2010 Medicare physician fee schedule(www.cms.hhs.gov) dangling over a precipitous 21% drop and clinging to the hope that Congress and the President would intervene before time ran out on Dec. 31. As we resume our story, we find that the fee schedule was, indeed, rescued (at least temporarily) by Congressional and Presidential action. Specifically, in late December, Congress passed, and the President signed, the Department of Defense Appropriations Act of 2010, which provides for a zero percent update to the 2010 Medicare physician fee schedule for a two month period, Jan. 1, 2010 through Feb. 28, 2010. That essentially means that the Medicare conversion factor (i.e., the dollar multiplier that translates relative value units, or RVUs, into payment amounts under the Medicare physician fee schedule) will stay at the 2009 level through the first two months of 2010. 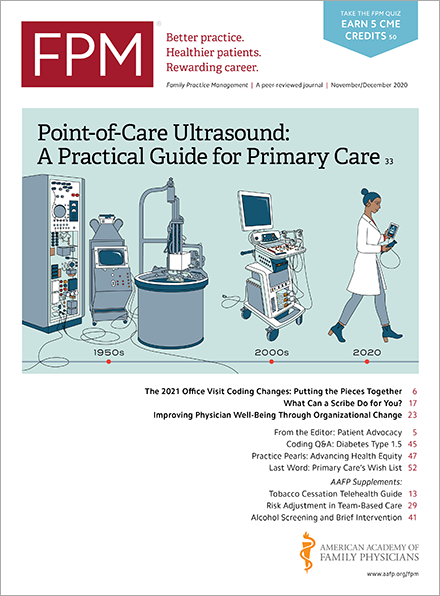 Physicians may still see some changes in Medicare payment allowances from 2009 levels due to changes in RVUs, but for many of the services most commonly provided by family physicians, those RVU changes are positive. In an interesting sub-plot, the Centers for Medicare and Medicaid Services(www.cms.hhs.gov) (CMS) has extended the period during which physicians may change their Medicare participation or non-participation status for 2010 until March 17, 2010. As always, participation decisions are effective Jan. 1 and binding for the entire year. For more information, see the Medicare participation options web page on the American Academy of Family Physicians' web site. As noted, the reprieve for the 2010 fee schedule is only temporary, and a "Bridge Out!!" sign looms on the horizon as the fee schedule hurtles down the tracks with no brakes. Will Congress and the President come to the rescue again? Will the 2010 fee schedule and physicians finally find lasting happiness? Or will it all come to a crashing 21 percent decline on March 1? While we await the answers to these and other exciting questions, you may want to keep your options open as it relates to Medicare in 2010, especially since CMS has given you until March 17 to make a final decision on your Medicare participation status. Regardless of your current status, your options in the meantime are to either hold your Medicare claims (if your cash flow allows that) until the dust settles or to continue submitting them as you always do. If you continue to file Medicare claims and later change your participation status, please be aware that there may be some consequences to the status change since it will be retroactive to Jan. 1, 2010. Thus, if you are currently "participating" and change to "non-participating," you will likely have to make a refund to Medicare, since participating physicians have a higher Medicare allowance than non-participating physicians. On the other hand, you will then be able to bill Medicare beneficiaries up to the Medicare limiting charge for unassigned claims, which will theoretically allow you to collect more for your services than you could have as a participating physician. On the flip-side, if you are currently non-participating and choose to become participating, you may be able resubmit your claims and get paid at the higher participating rate. However, you will also likely have to refund to beneficiaries any amounts previously collected for 2010 services that exceed the participating physicians' allowed amounts. Thus ends this chapter in our story. Stay tuned for the next exciting installment of "The Perils of the 2010 Medicare Physician Fee Schedule!"